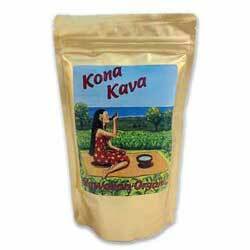 Kona Kava Farm's strongest Powdered Kava Root has matured for over four years, has a tested kavalactone content of about 10%, and offers a less bitter taste and most pleasurable effects. * This Kava Kava root is the pride of their family farm, and we offer our 100% Satisfaction Guarantee to any customer who doesn't think this kava is the best they've ever tried, making it even easier to acquire a taste for this amazing and versatile herbal product. If you want to keep up to date on all things related to this Kava, or if you wish to speak directly with the woman who has owned this family farm for generations, visit the Kona Kava Farm Blog and join in on the discussion.